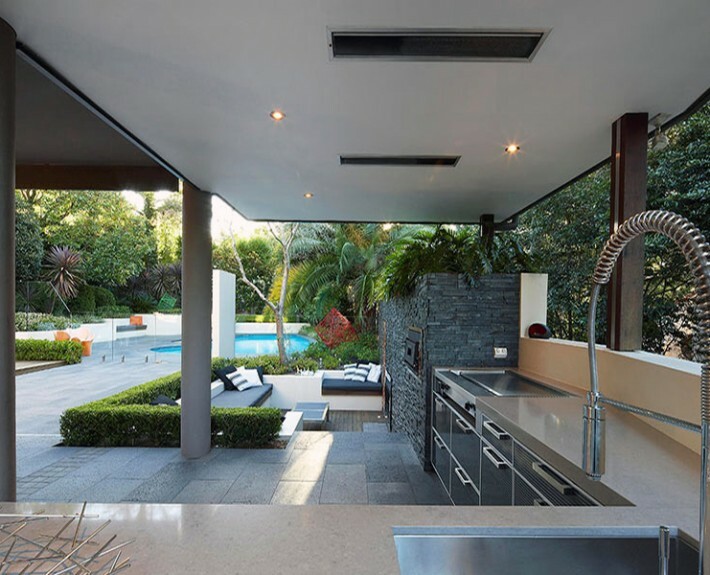 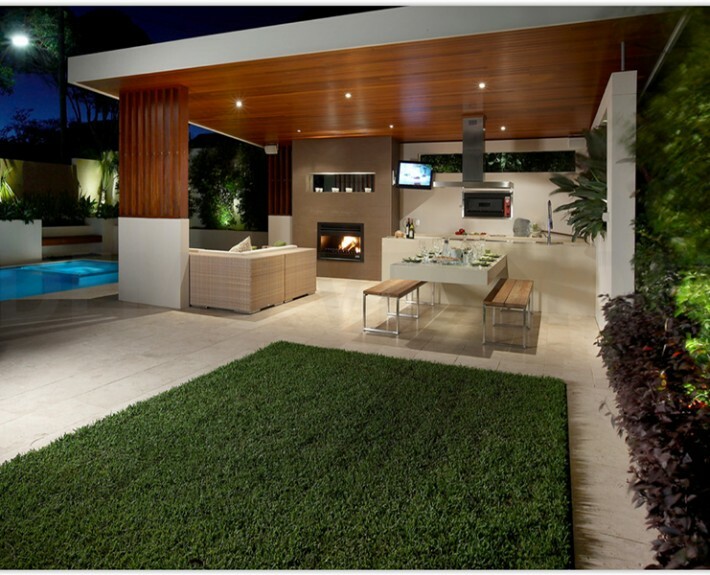 Outdoor kitchen landscape design is an increasingly popular trend in garden planning, not just in the year round warmth of Dubai, but in cooler climates as well. 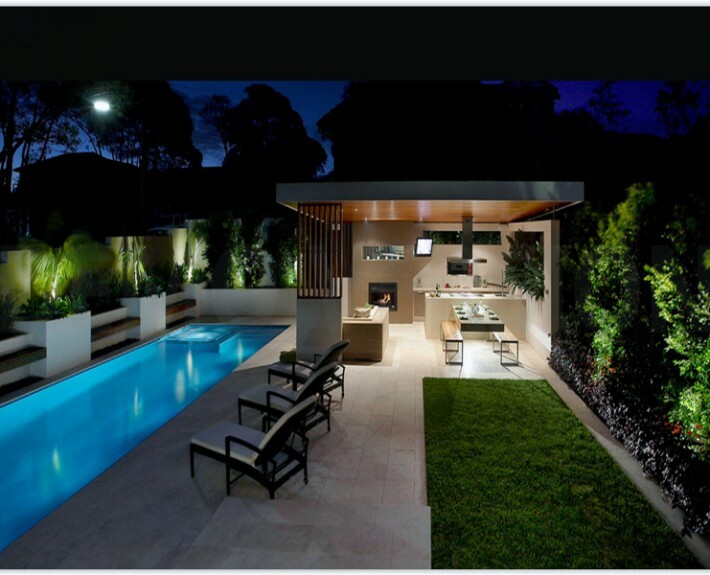 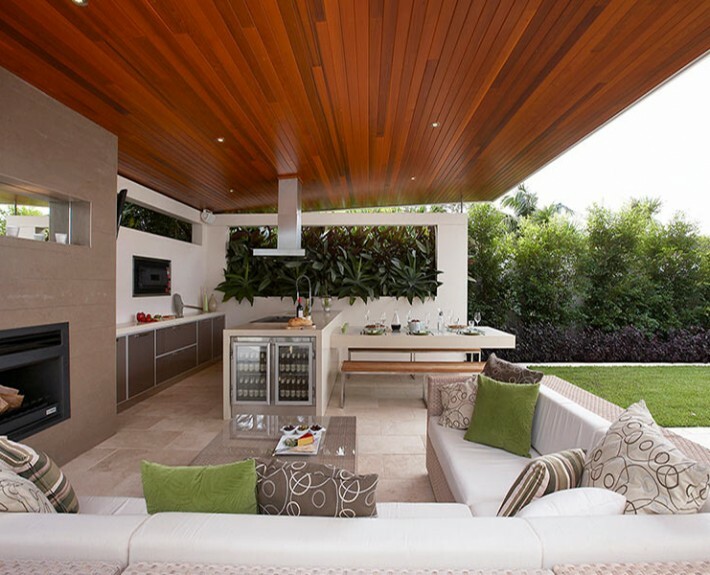 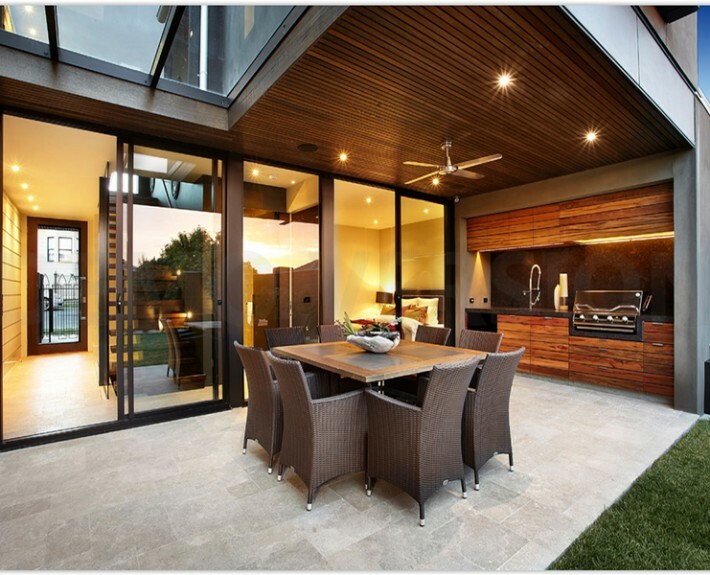 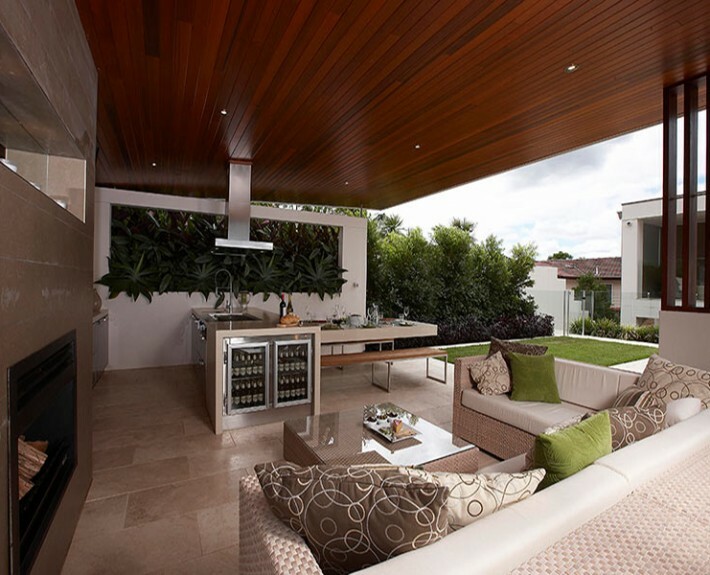 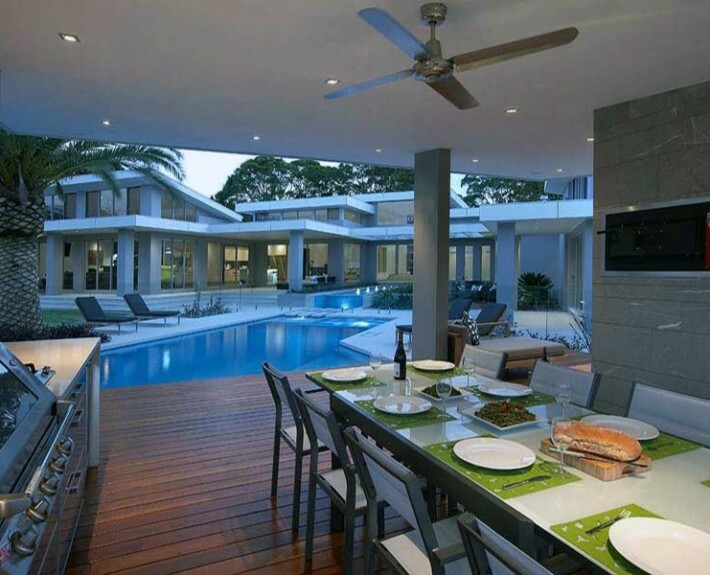 Modern outdoor design takes the elegant style of your interior living space and continues it into the Garden creating the same functional living space on the outside. 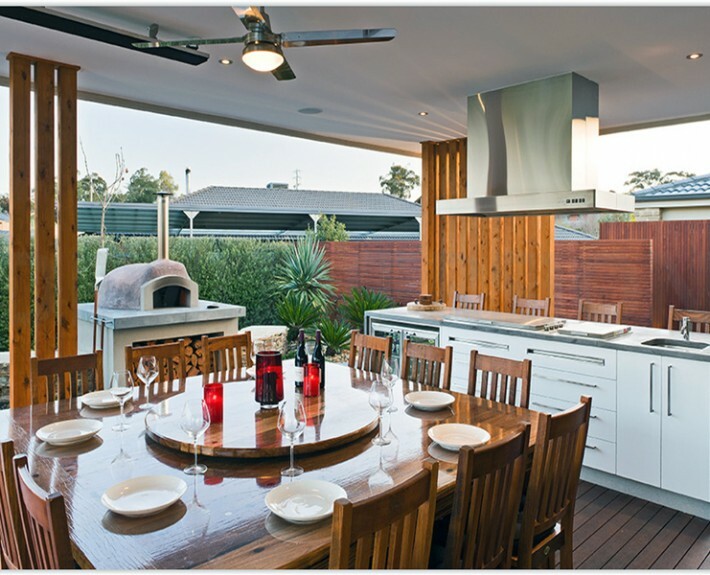 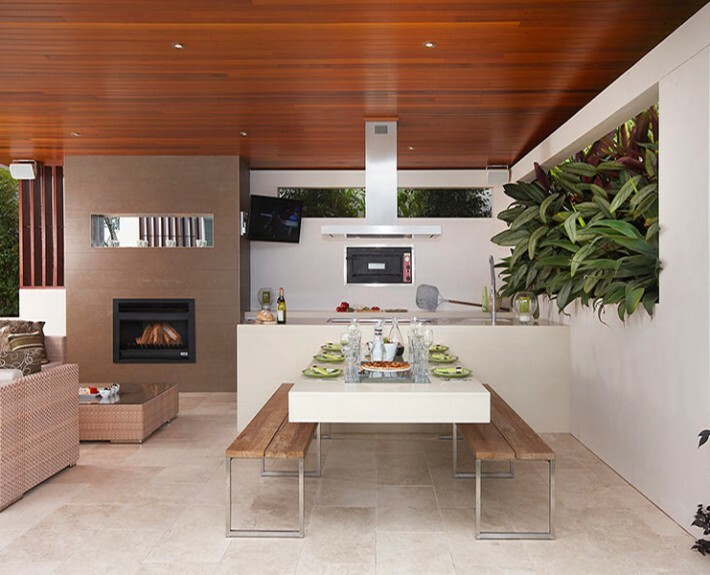 Because the kitchen is an integral part of entertaining at home, many people prefer an outdoor kitchen or sometimes referred to in the cooler climates as a ‘Summer Kitchen’. 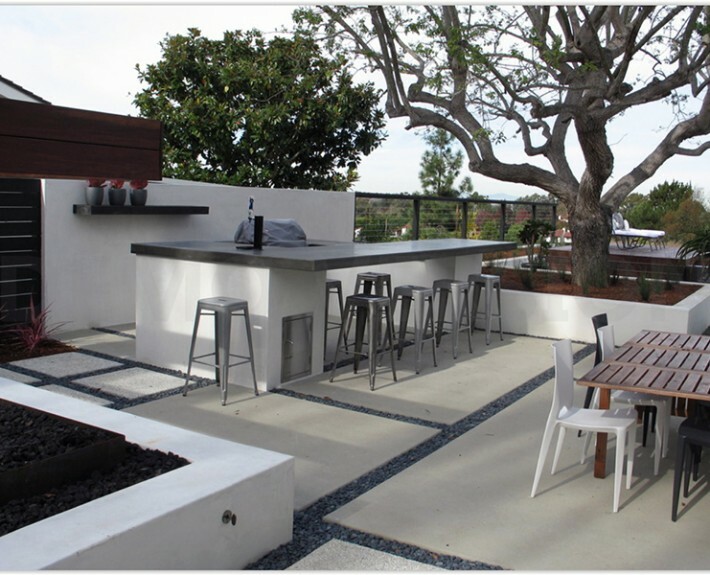 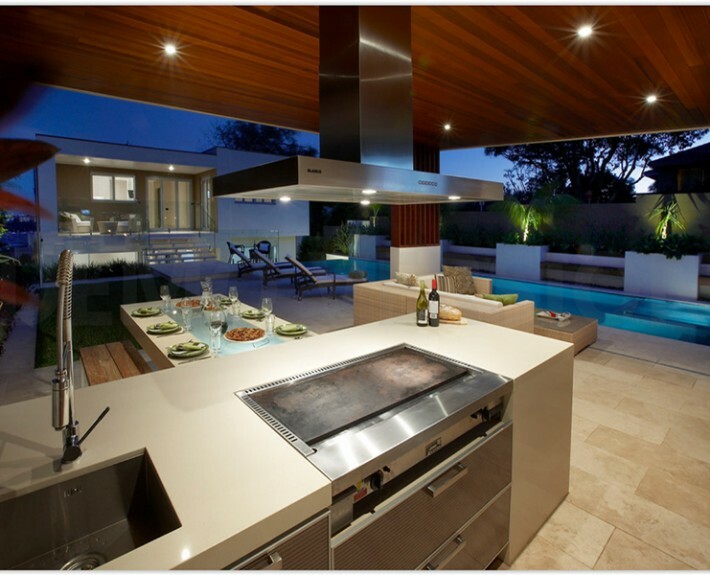 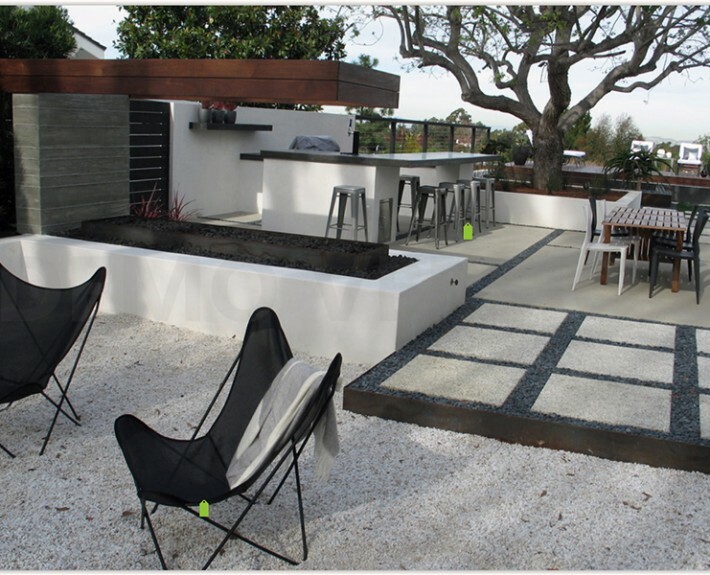 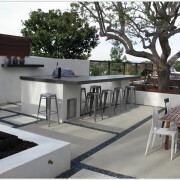 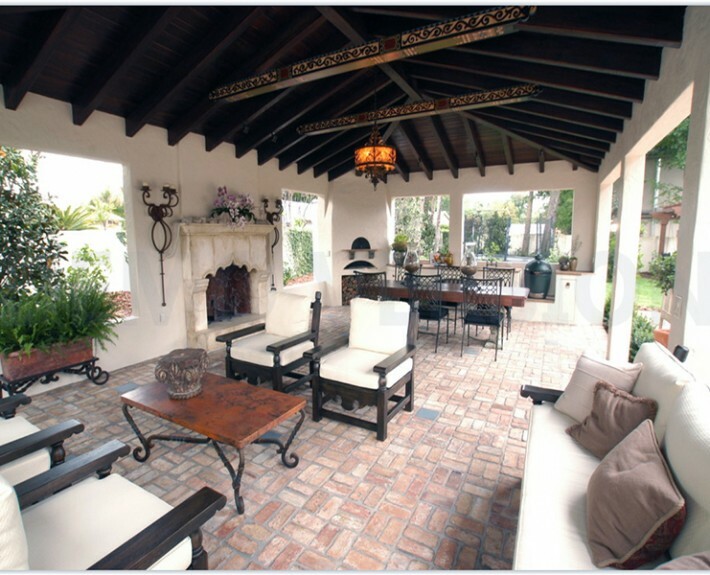 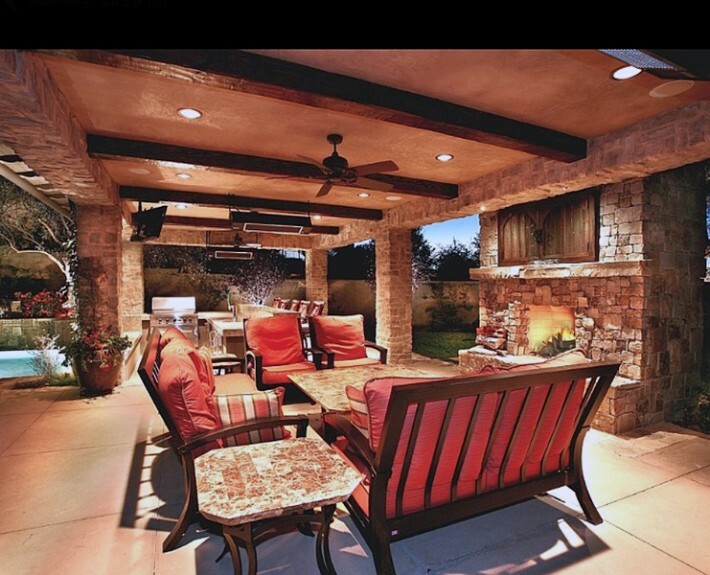 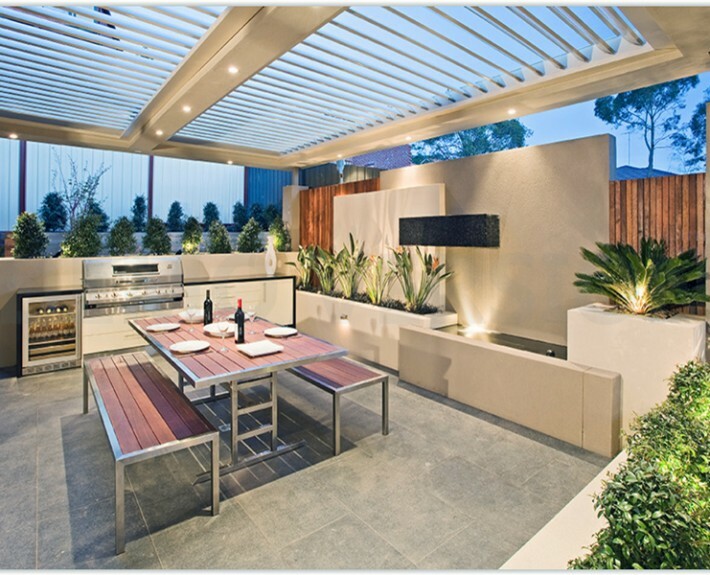 Designing an outdoor kitchen landscape design requires careful planning. 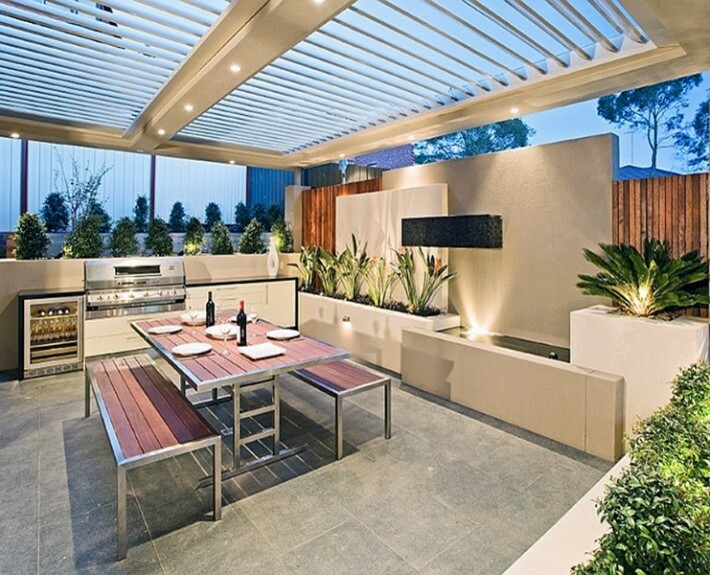 Today’s kitchens are much more elaborate than the traditional outdoor grill near a picnic table and there are many things to consider to ensure a living area that is both functional and attractive. 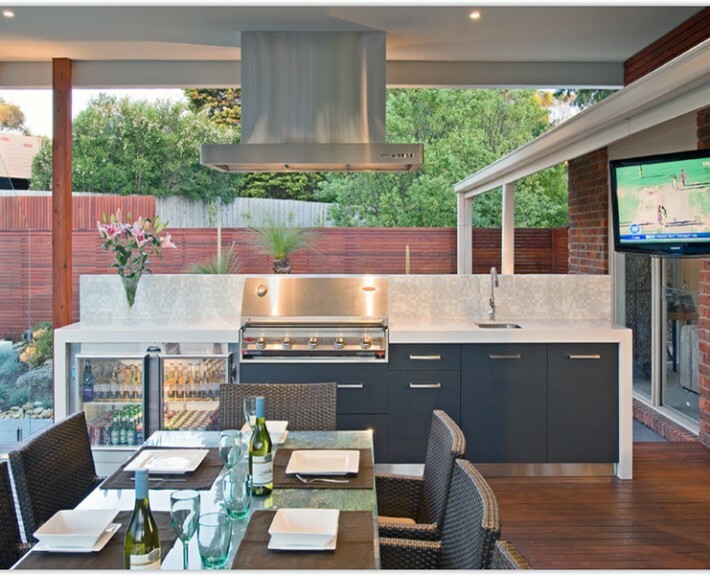 Your outdoor kitchen will be open to the elements throughout the year, it is important to select materials designed for outdoor use. 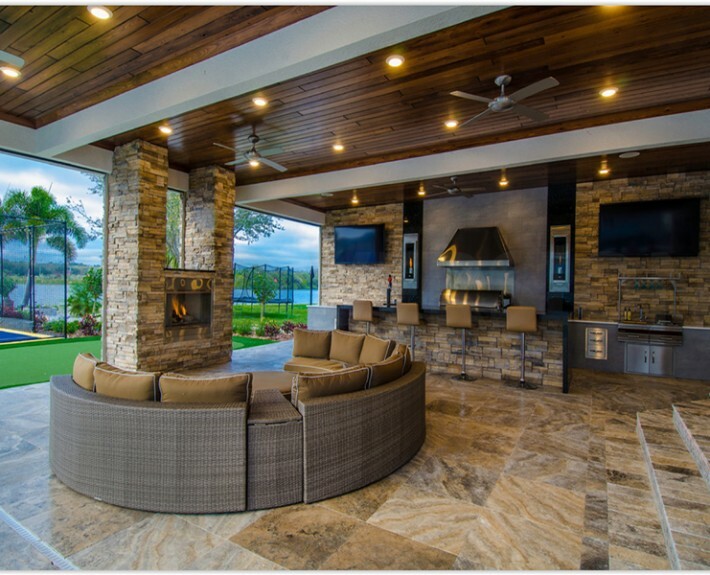 A natural stone base weather-resistant material is preferred by many landscape architects because of its ability to not peel or crack with changing climates. 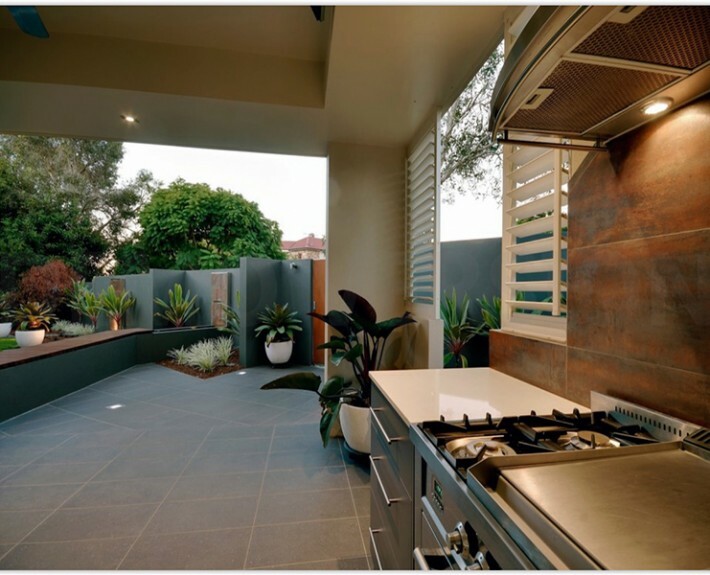 Brick is another long lasting material for outdoor use that has a luxurious appearance in your outdoor kitchen landscape design. 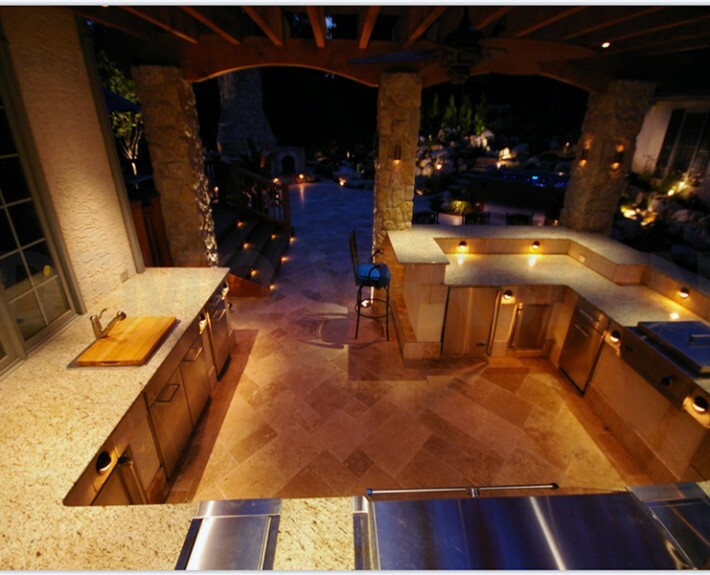 Counter tops and surfaces are typically finished with natural stone for a sophisticated look similar to your indoor kitchen design. 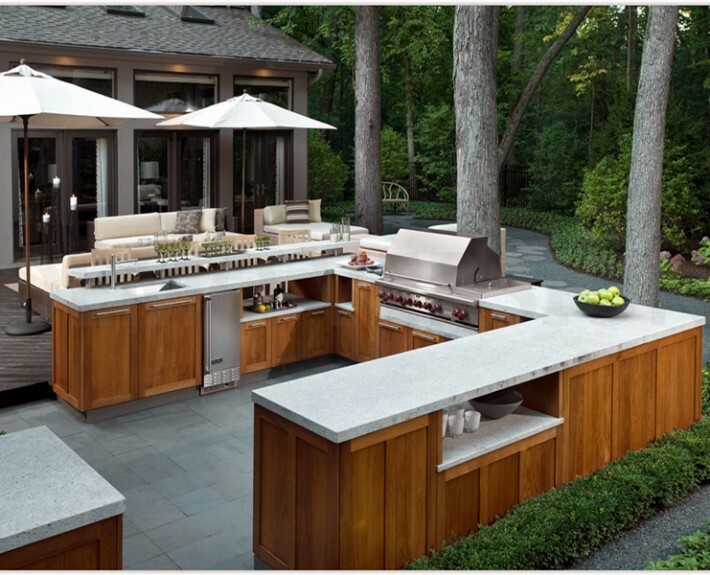 Granite, marble, and slate counter tops are common in high-end outdoor kitchen designs and ceramic tile is also an option that can be found in several colours. 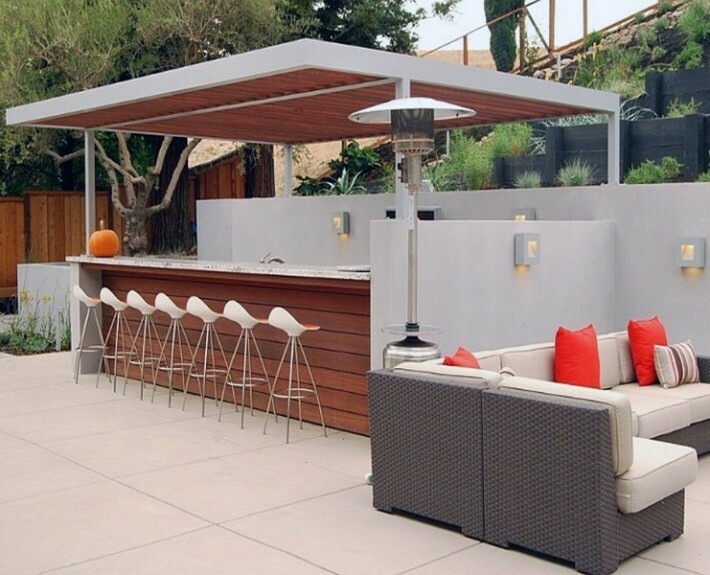 The final touches to any outdoor kitchen landscape design, regardless of how simple or elaborate, are outdoor accessories that enhance the overall style of your home.